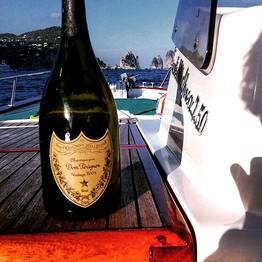 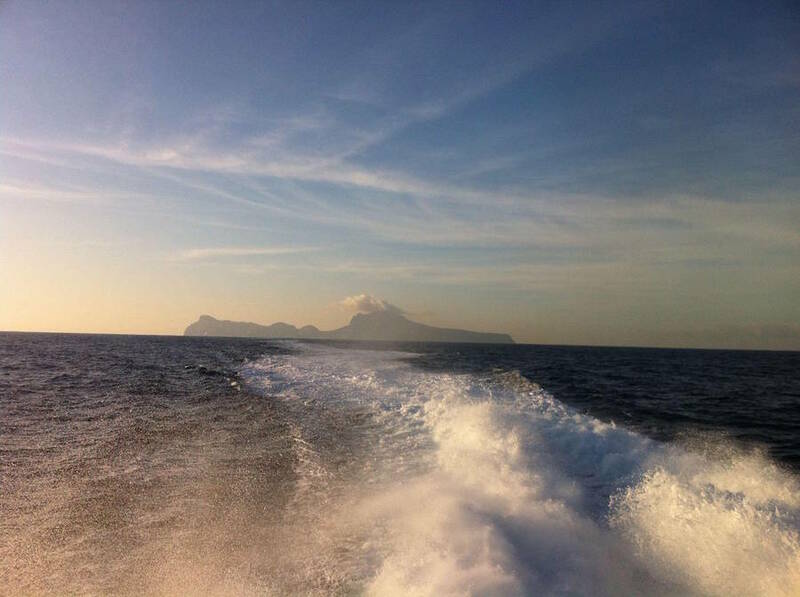 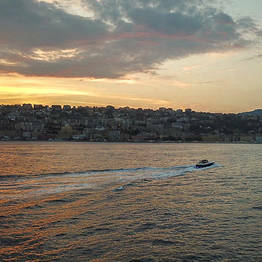 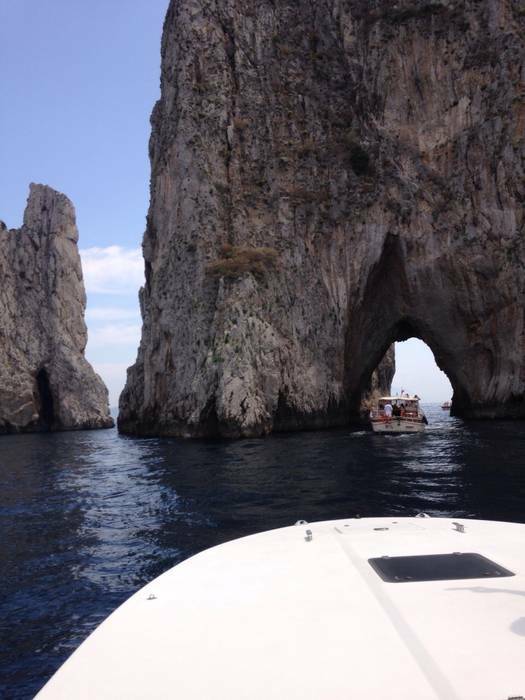 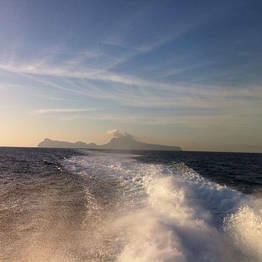 A day at sea off Capri on board an elegant speedboat is more than just a boat tour. 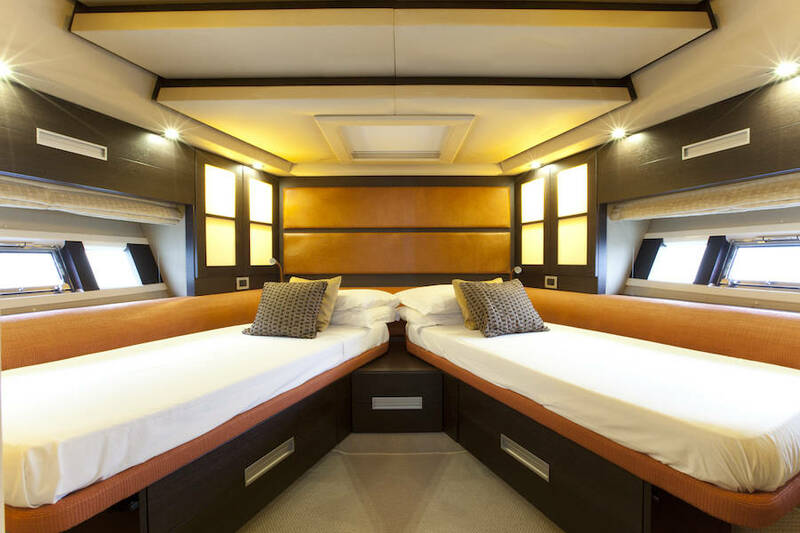 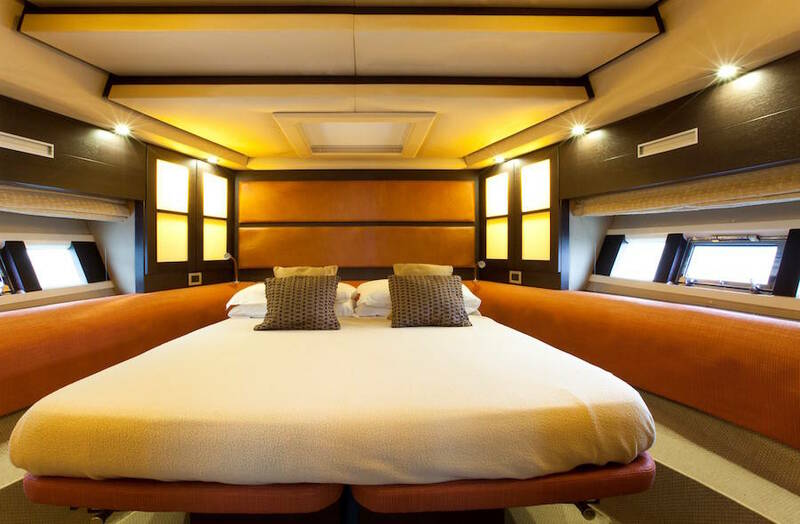 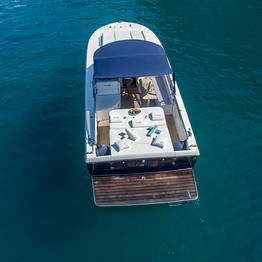 With the “Luxury” option at Capri Boat Service, Danilo, Marco and Pierpaolo will show you the beauty of the island in style, with all the high-end comfort you need to make your time on board truly unforgettable. 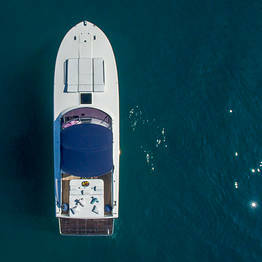 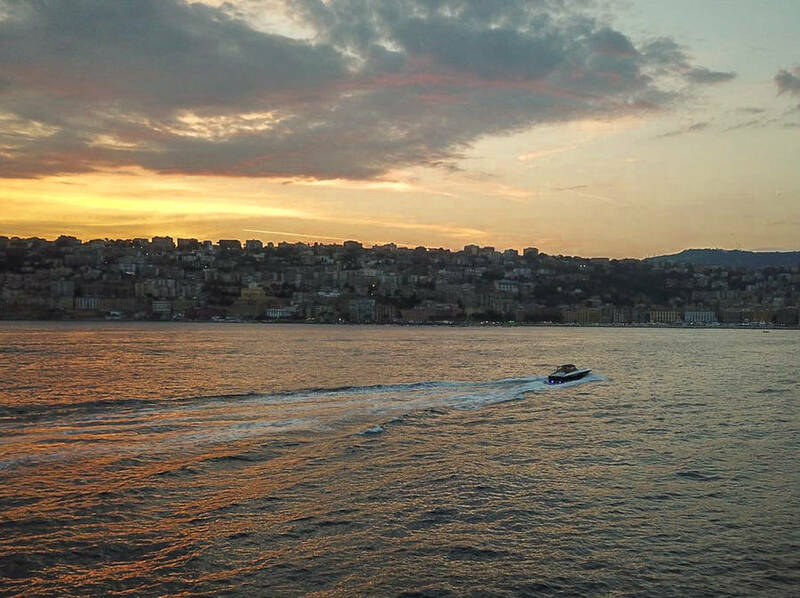 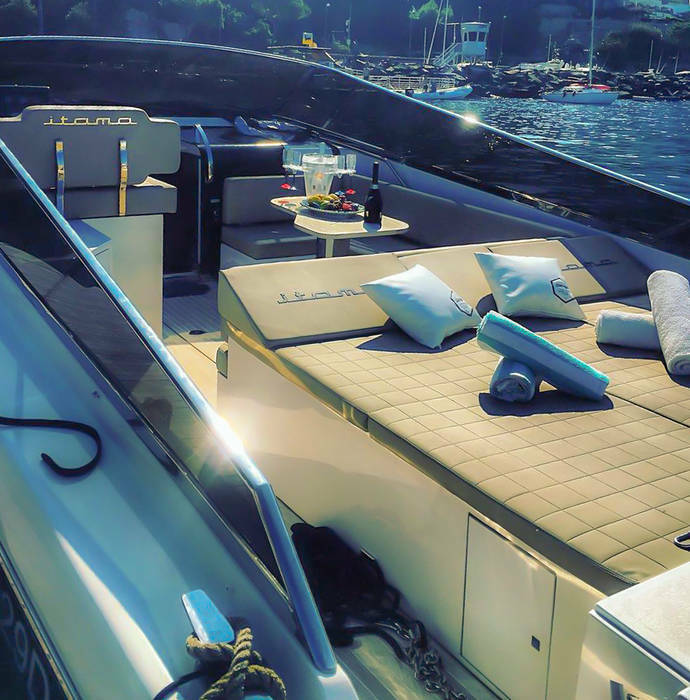 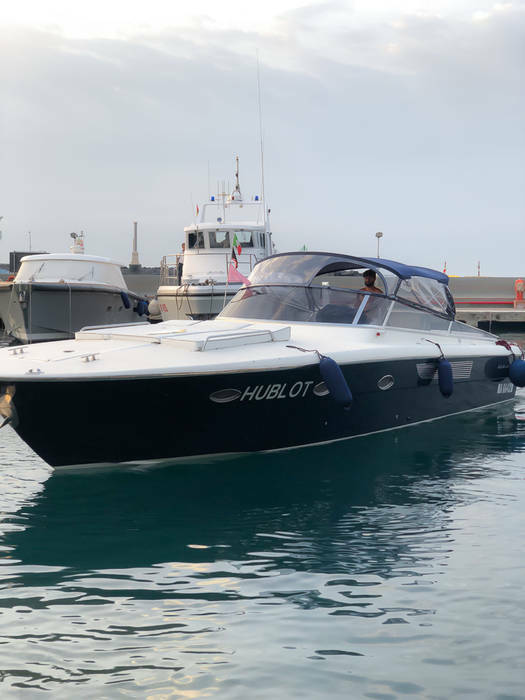 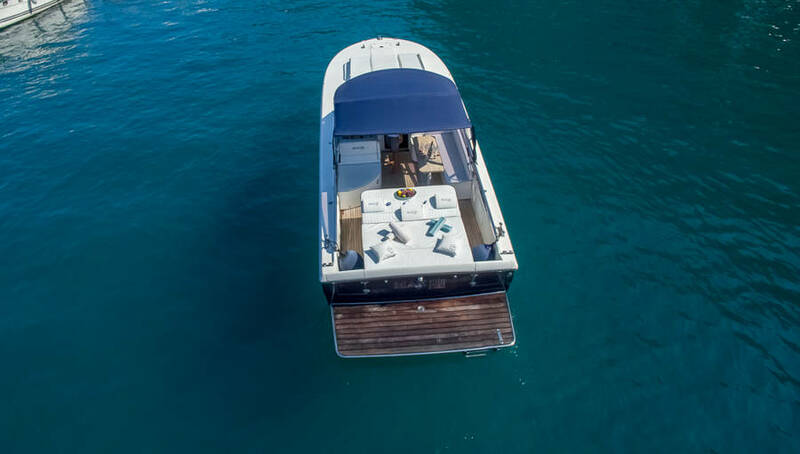 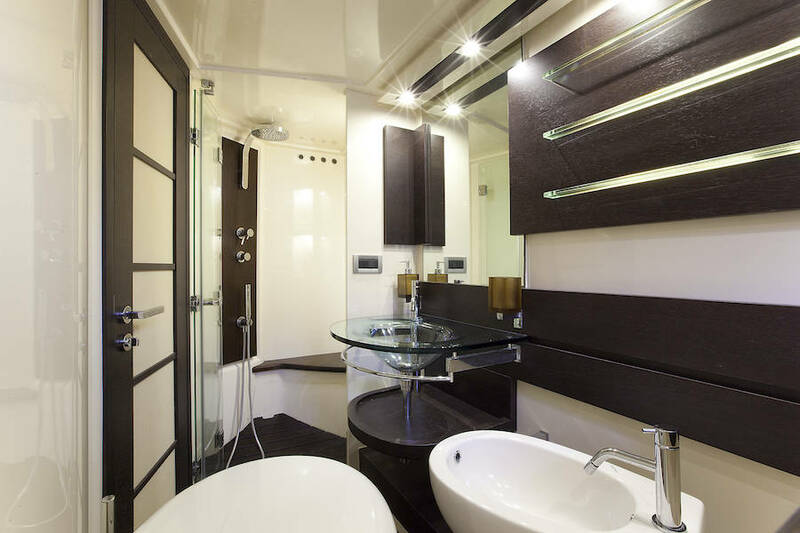 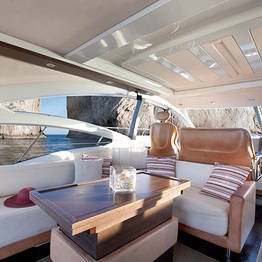 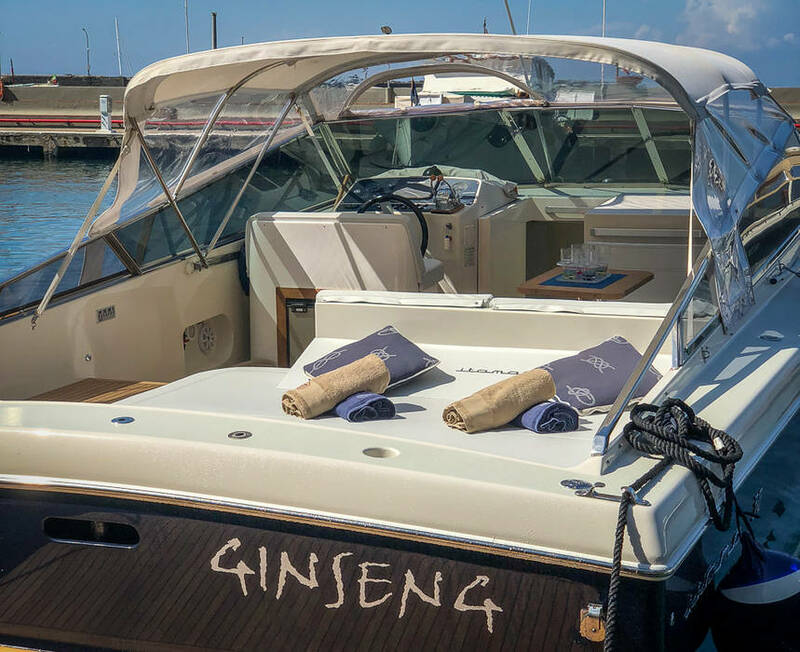 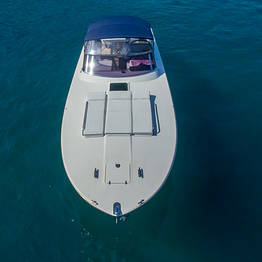 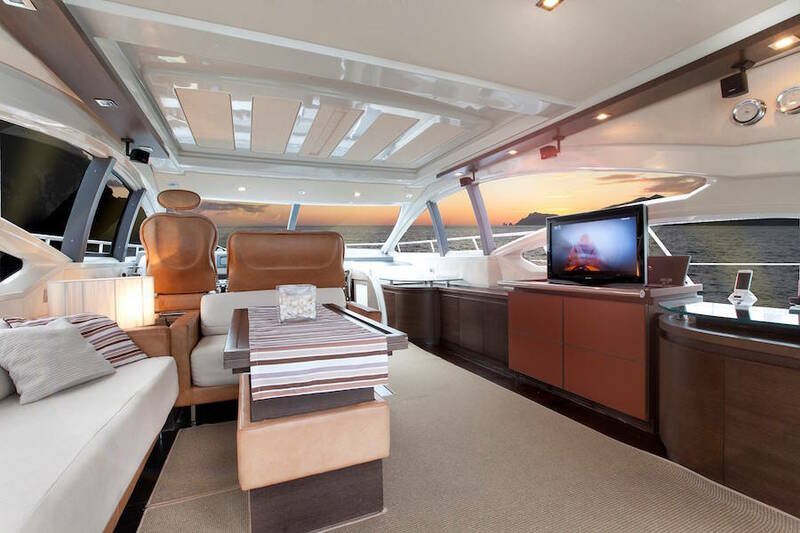 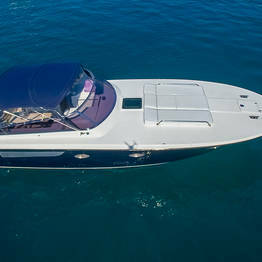 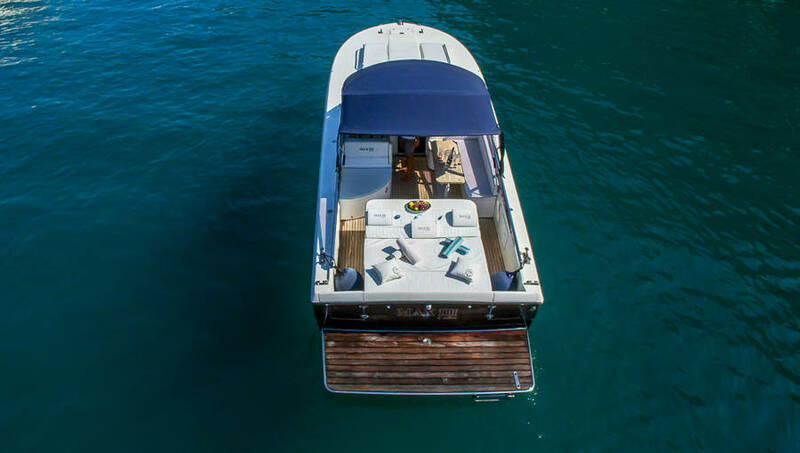 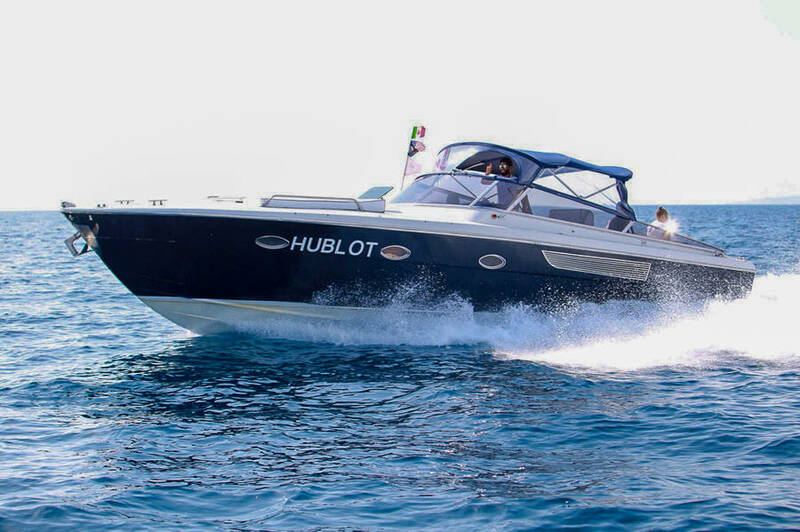 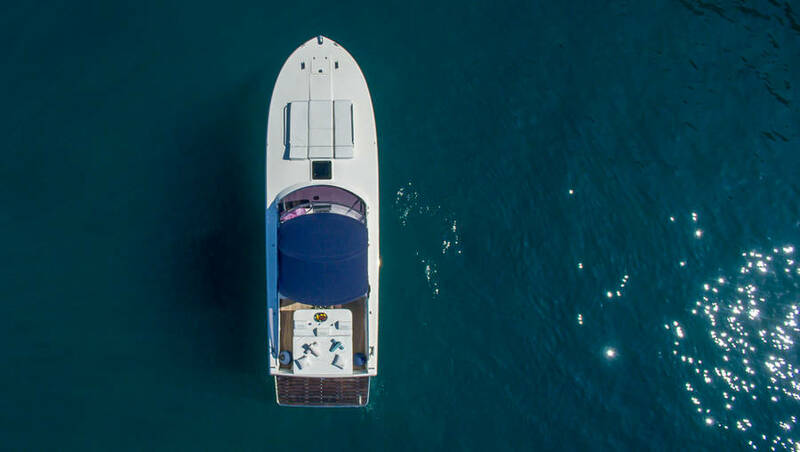 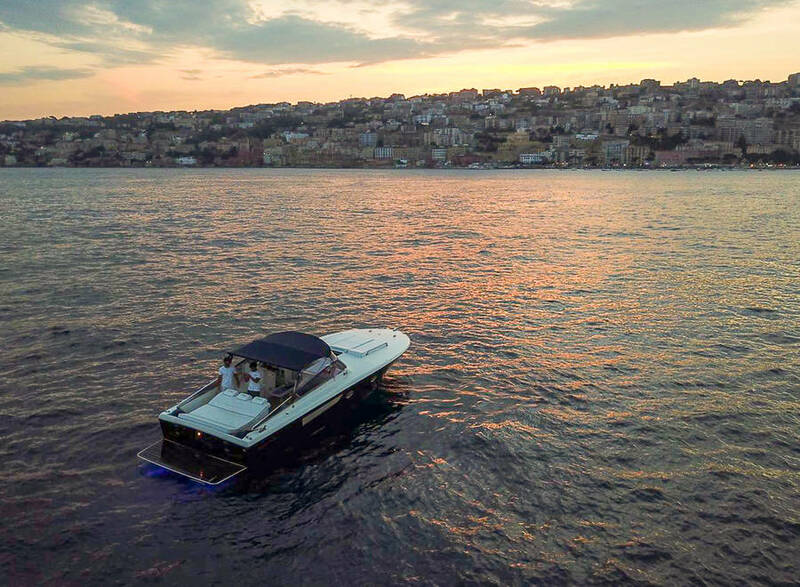 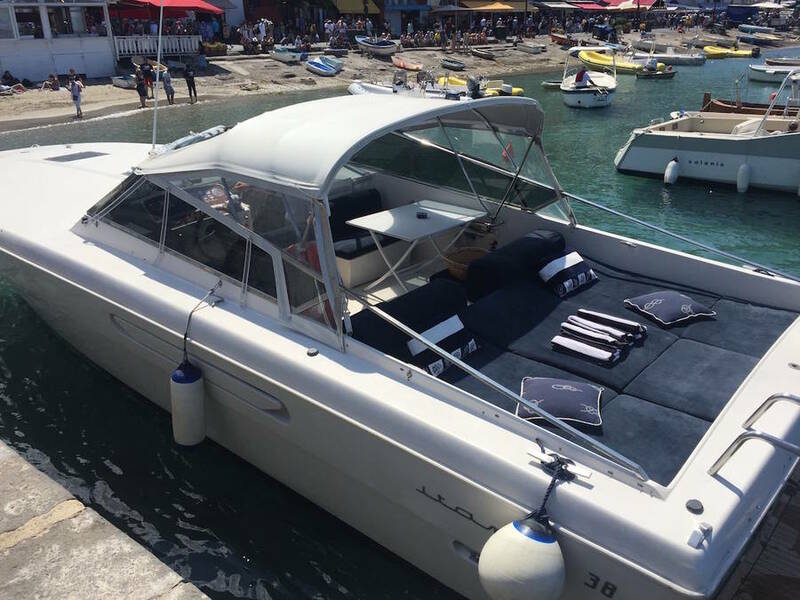 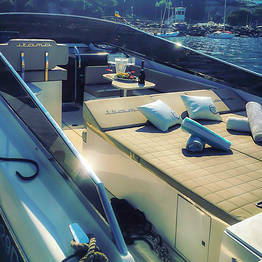 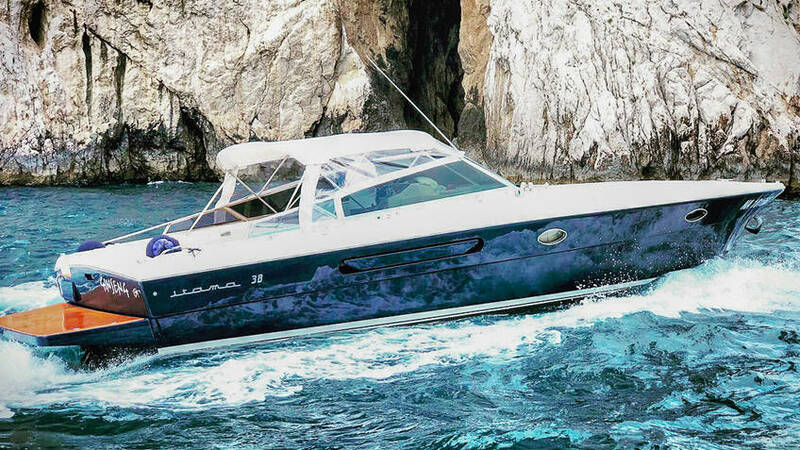 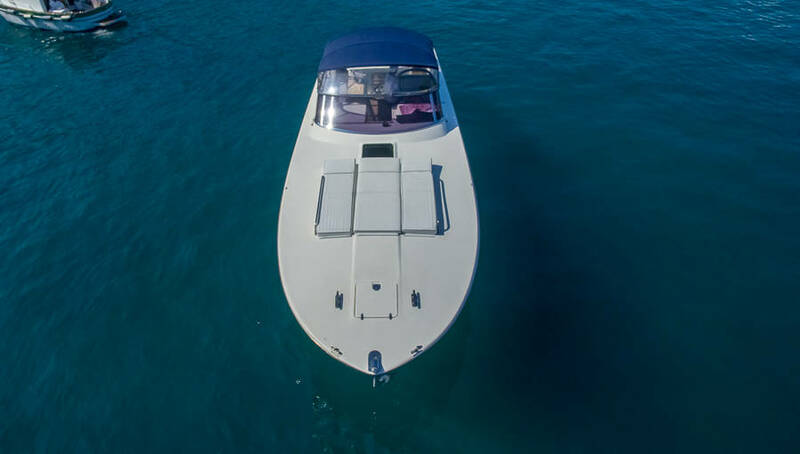 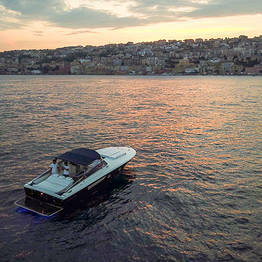 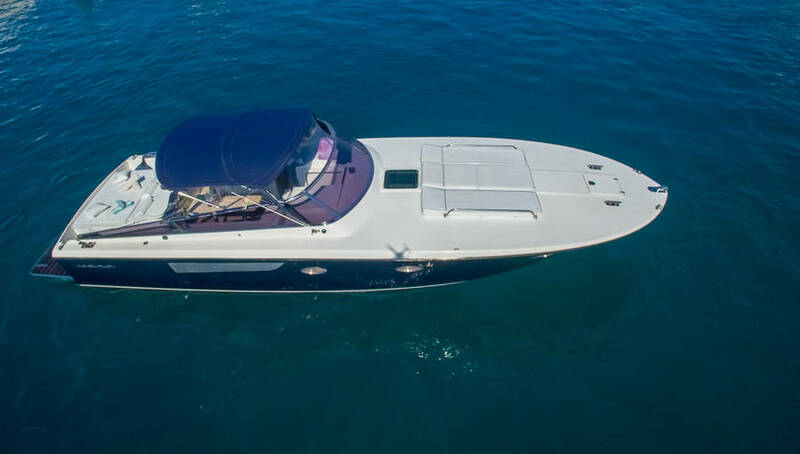 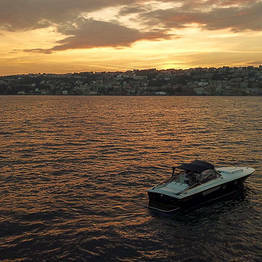 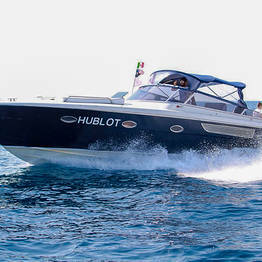 The Capri Boat Service speedboat fleet is perfect for anyone looking for the top-of-the-line service and luxury for their Capri excursion, with sun loungers, open-air spaces, air-conditioned cabin, and elegant living and dining spaces. 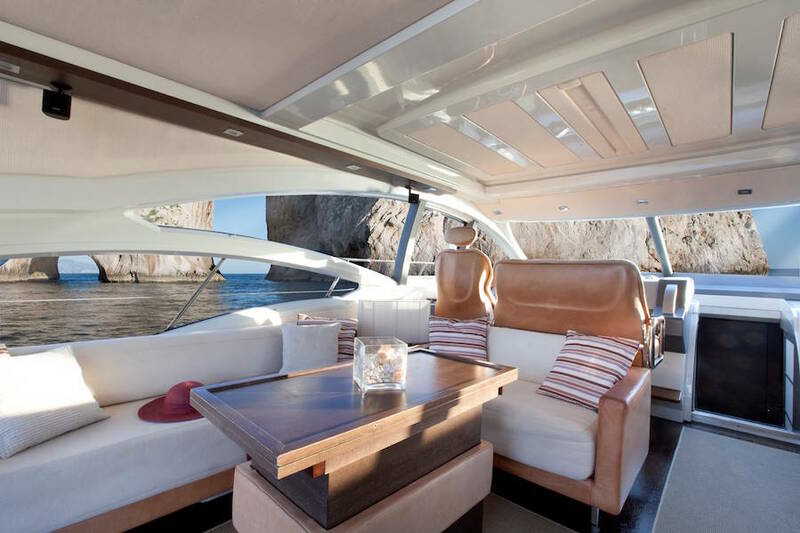 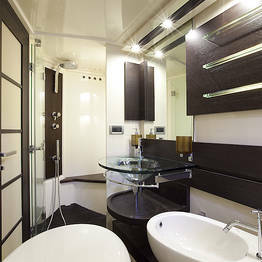 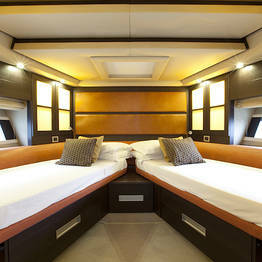 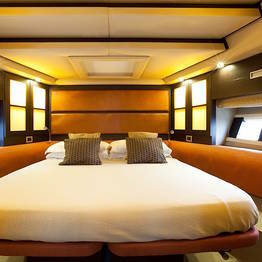 Custom catering and other personalized services can also be arranged for your day on board. 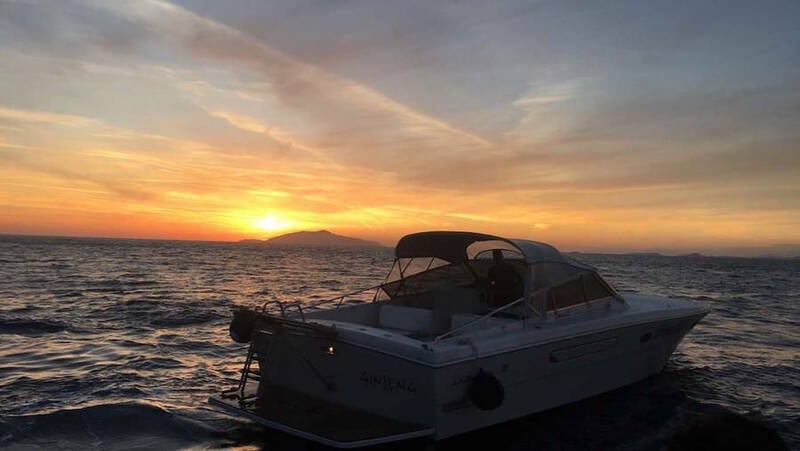 This is the most exclusive way to sail around the island of Capri to see all the most famous landmarks, including the famous Blue Grotto and the towering Faraglioni sea stacks, the Punta Carena lighthouse, Green Grotto, and all the tiny coves and hidden caves for which the coastline of Capri is so beloved. 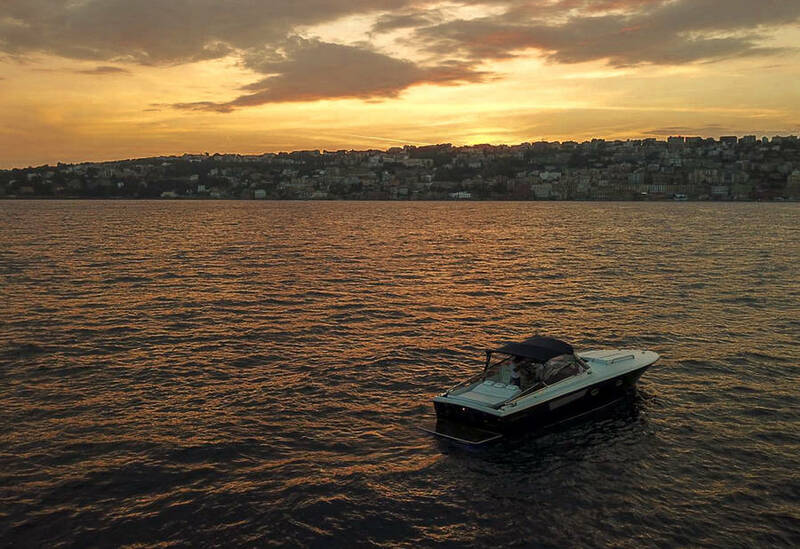 There are unlimited itineraries and extras that Capri Boat Service's “Luxury” option can arrange, so your boat tour is truly “customized” to suit your style and pace. 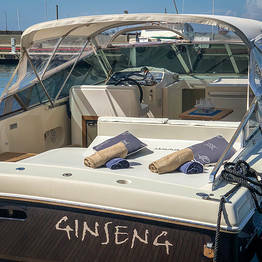 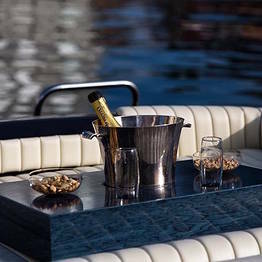 Classic island tour, with a stop in a quiet cove to swim or snorkel, a prosecco toast with finger food and a picnic on board. 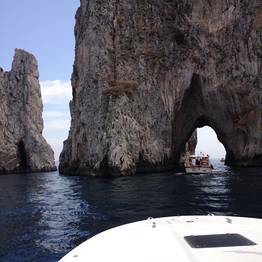 Mare e Gourmet: a full day around the island of Capri to visit all its grottoes, take a swim wherever you choose, and stop for lunch in a waterfront restaurant. 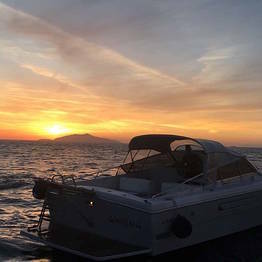 Your day ends with a sunset cocktail on board! 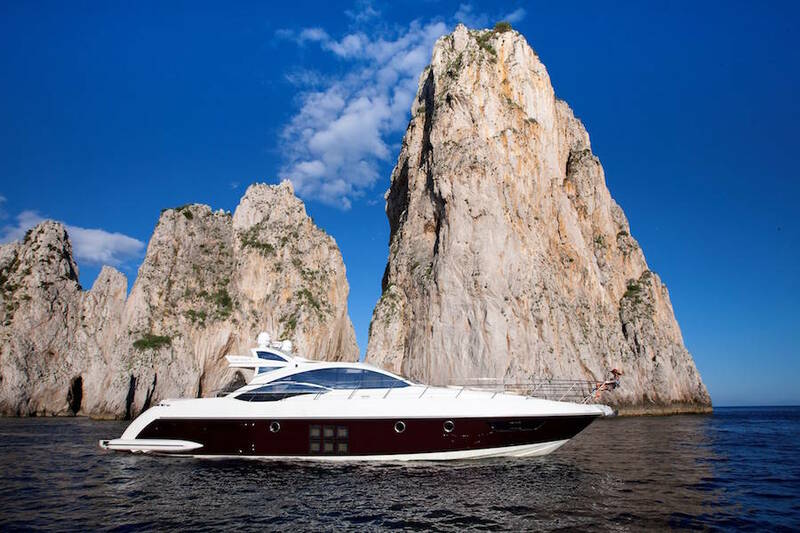 Capri and the Amalfi Coast: our fast and comfortable speedboats are perfect for visiting the island and the nearby coast in a single day, so you can enjoy the beauty of Capri along with Positano, the Li Galli islets, Amalfi, Nerano, and Furore...with time to disembark and take a walk in the magical cliffside fishing villages along the coast. 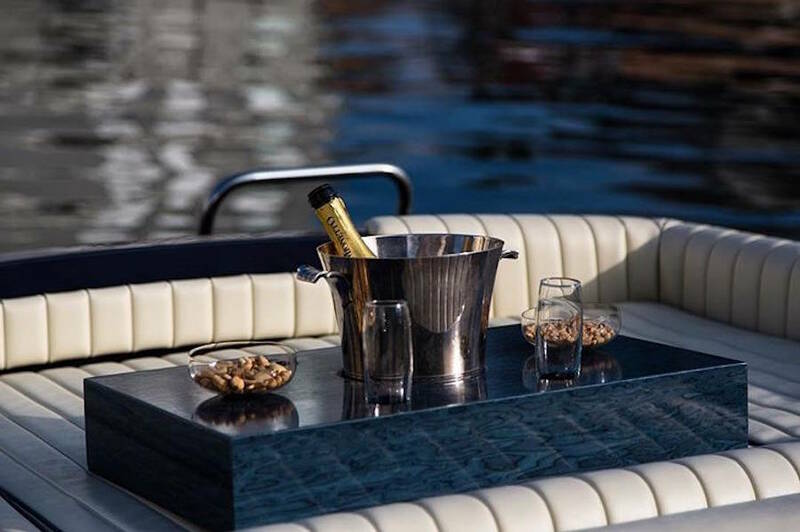 Music, flowers, catering, custom itineraries, waterfront restaurants: your wish is our desire at Capri Boat Service Luxury, and we can take care of any special request. Just ask Danilo, Marco, and Pierpaolo for recommendations, and they will do their best to make your dreams come true...their passion for Capri and the sea will win you over and your luxury day at sea will be one to remember! 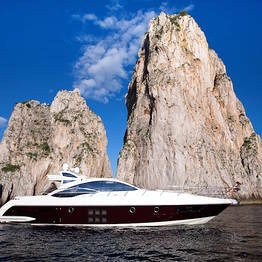 Capri Boats Service Luxury clients can head straight to our meeting point in Marina Grande at the port of Capri, pier 20 (also known as the "Banchinella"). 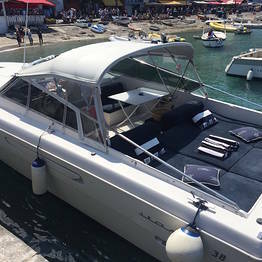 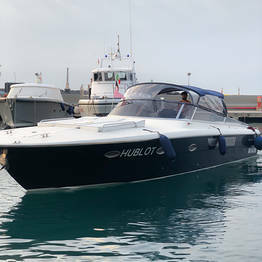 Here you will board your deluxe speedboat, or we can arrange to pick you up at another point on the island.